IMS promotes pioneering and outstanding researches by young scientists as a core academic organization in Japan. 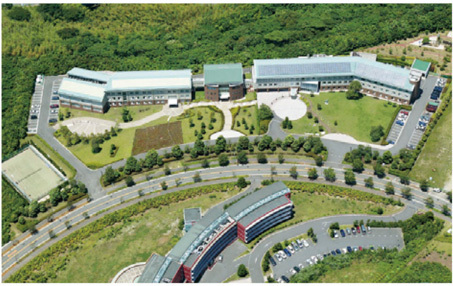 IMS trains graduate students in Departments of Structural Molecular Science and Functional Molecular Science, Graduate School of Physical Sciences, the Graduate University for Advanced Studies (SOKENDAI). By virtue of open seminars in each research division, Colloquia and Molecular Science Forum to which speakers are invited from within Japan and all over the world, as well as other conferences held in IMS, graduate students have regular opportunities to be exposed to valuable information related to their own fields of researches as well as other scientific fields. Graduate students can benefit from these liberal and academic circumstances, all of which are aimed at extending the frontiers of fundamental molecular science and at facilitating their potential to deliver outstanding scientific contributions. For more details on Departments of Structural Molecular Science and Functional Molecular Science, young scientists are encouraged to visit IMS through many opportunities such as IMS Open Campus in May, Graduate-School Experience Program (Taiken Nyugaku) in August, Open Lectures in summer and winter, etc. The Graduate University for Advanced Studies (hereafter referred to by the Japanese contraction, "Sokendai") was founded in 1988 with the intentions of cultivating new integrative research fields and promoting academic excellence through its doctoral course programs that are also open to foreign students. The university is based in Hayama, Kanagawa Prefecture, Japan, and its unique education programs are currently available in Hayama, as well as at eighteen other national academic research institutes to which individual students are assigned according to their fields of studies.